The internet sports gambling legal battles rage on, cricket gets technical, and headphones that could help you become a better athlete, all in my most recent post for TechGraphs, a roundup of last week’s top sports technology stories. 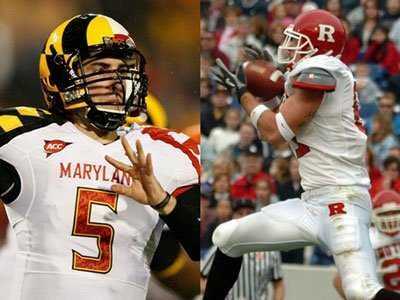 Rutgers and Maryland have joined the Big Ten conference. From the Big Ten perspective, what a stupid idea. What an obviously stupid idea. Just because everybody’s jumping off the sinking Big East ship as fast as possible doesn’t mean the Big Ten needs to act as a refugee camp for below-average escapees. Already in a bad spot heading into this fall, the Big Ten has made itself worse this week, and no comment about “Maryland basketball” or “Rutgers and the New York market” can change my mind.